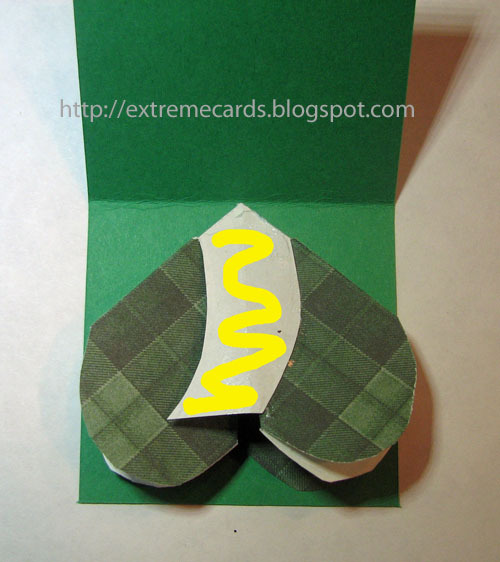 Quickest Shamrock Pop Up Card Ever! 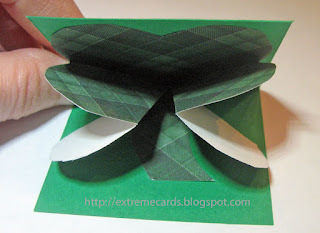 A tiny card with an expanding shamrock pop up. This St. Patrick's Day card is based on a standard origami fold, the square base. 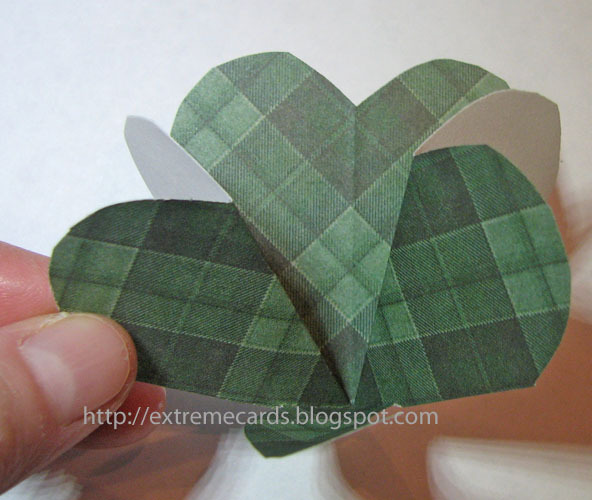 It is first folded and cut into four joined hearts. 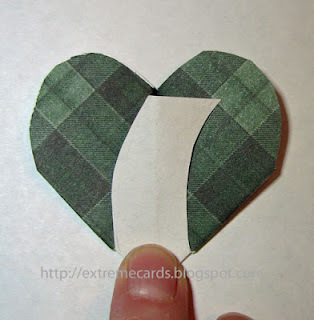 One heart is trimmed into the stem. I like to make this card quite small--starting with a 4" square for the shamrock--for just " a little bit of luck in your pocket." 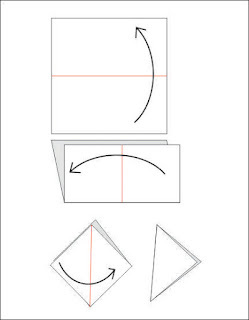 Begin with a square of paper. 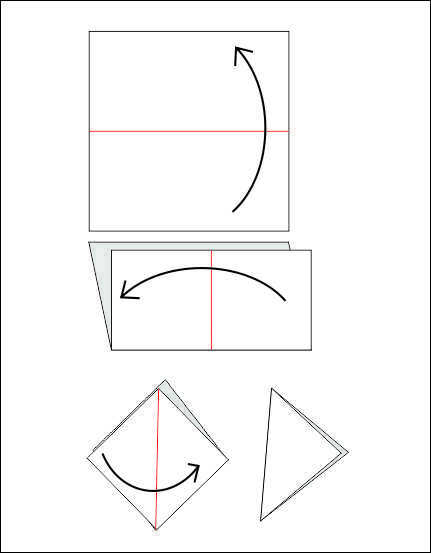 Fold as shown below. 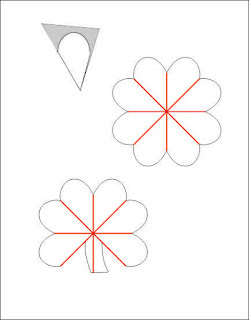 Cut a semicircle at the top of the triangle. Unfolded, you should have four connected hearts. Trim one heart into a stem. 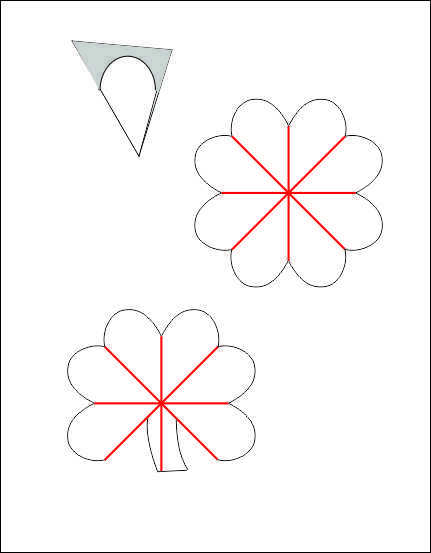 I have cut files for this if you prefer (SCUT2, PDF, DXF, Silhouette Studio). Fold the shamrock into a square base--inverting the creases of the right and left hearts and folding the stem up. 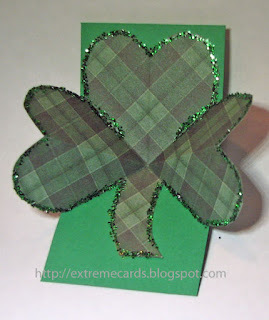 Lay the folded shamrock on the base card with the point of the shamrock in the fold of the base card. 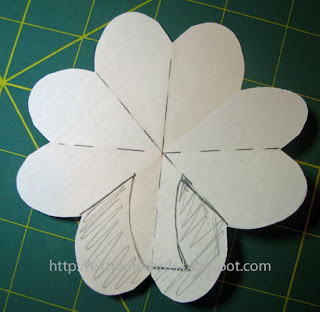 Apply glue to the back side of the stem. Close the card and flip over. 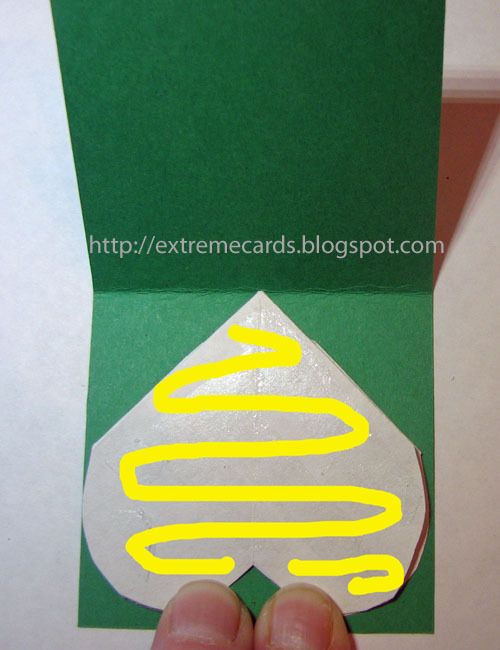 Open the card and apply glue to the visible heart shape. Close the card.